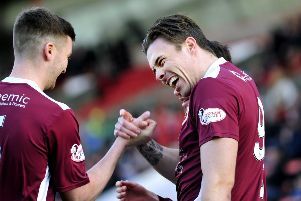 Stenhousemuir manager Brown Ferguson is hoping to sign three players before the League One season gets underway. Stenny have brought in six players this summer but are still in the market for more. The Warriors boss, though, is not looking to chase up a return for midfielder Harry Paton after he signed for Ross County last week, and instead hopes the Canadian can break intothe first team in Dingwall. “I’m delighted for Harry. It’s a very good club up at Ross County and it’s a good opportunity that he thoroughly deserves. “I’ve spoken to Ross County about Harry and spoken to Harry as well and I think the only focus he should have and that County should have for him is to get him integrated in the first team.